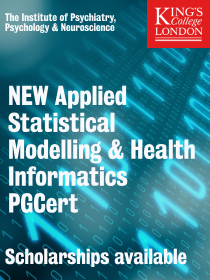 Jul 09: ISCB Newsletter Issue 13.1 Now Available Online. Aug 31: ISCB Africa ASBCB 2011 Conference on Bioinformatics is accepting paper and poster submissions. Sept 01: Early online registration for Rocky '10 is open. Sept 21: Ask the Candidates! The ISCB Officer candidates vying for your votes are now ready to take your questions. PSB 2011 travel support application deadline is September 27th – apply today! The 16th annual Pacific Symposium on Biocomputing will take place January 3-7 on the Big Island of Hawaii. 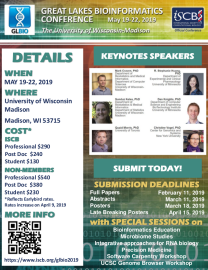 This year's paper sessions include personal genomics, microbiome studies, integration of biological and clinical data for translational research, GWAS methods for rare alleles, reverse engineering and synthesis of biomolecular systems and multiscale modeling of biosystems. Registration is open, and travel support is available. Applications for travel support are due September 27, and the poster abstract submission deadline is November 29. See http://psb.stanford.edu for details. ISCB elections for the Officer positions of Vice President, Treasurer, and Secretary are now awaiting your vote online. At the same time and on the same ballot are the elections for all ISCB Student Council leadership positions. Your participation is highly encouraged, as the results of these elections will form the basis of the future direction, and establishment of priorities, for ISCB and its vibrant Student Council. It is important that all members participate in electing our Society's leaders. If you feel you do not know the candidates, please note a full candidate statement and CV is viewable for each member running for each office. Voting can take as little as a few minutes, or as much time as you would like to give it in order to most carefully consider each candidate. The aim of the International Society for Computational Biology (ISCB) is to serve the worldwide computational biology community by addressing scientific policies, providing access to high quality publications, organising meetings, and serving as a portal to information about training, education, employment and news from related fields. ISCB currently has over 2600 members from nearly 70 countries around the world. 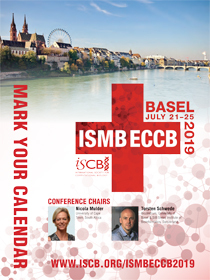 Among its many activities ISCB hosts annual meetings, including ISMB, the world's longest running and largest bioinformatics conference (held jointly with ECCB every other year in Europe), as well as a series of smaller, newer meetings. ISCB also has affiliations in place with several other significant meetings in the field, such as RECOMB. 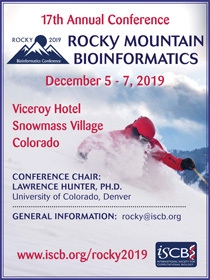 In an extension to its meeting activities ISCB is participating in the organization of regional meetings in locations where ISMB has not been held. In 2009 a joint ISCB-Africa was held in Bamako, Mali in collaboration with the African Society for Bioinformatics and Computational Biology (ASBCB), and in 2010 ISCB-Latin America was held in Montevideo, Uruguay. ISCB is now preparing to expand this regional conference model to the development of an ISCB-Asia meetings. ISCB is therefore soliciting applications for the co-organization of a bioinformatics meeting in Asia. The meetings will take the form of a satellite conference to be held annually in one or more locations in Asia. ISCB would like to affiliate with an existing society/societies in the Asia region, or to work with a group that has a similar interest in organising a bioinformatics community meeting in Asia. 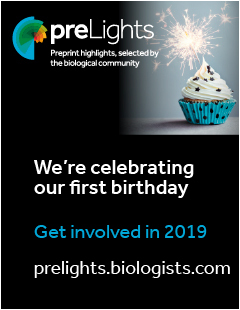 A requirement that ISCB-Asia become permanently affiliated to an existing meeting or society is not intended, so proposals from all communities are welcome. Budget proposal including estimated registration fees, and preliminary commitments for financial support from sponsors.